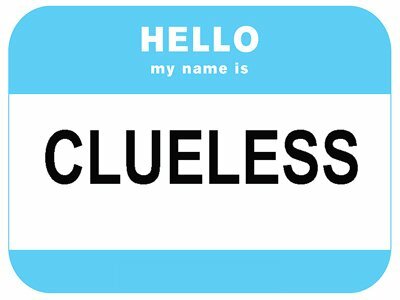 Home » What’s up with clueless interviewers? Unprepared questions? How about just dumb questions? I recently had a Skype interview with a technical person and a recruiter for a job for which I meet all 15 bullet point criteria. The guy starts out by being an insulting, condescending piece of garbage. I knew immediately that I did not want to work with him. No, that’s lousy “talent” hunting for real talent, and blowing it! As a manager who regularly interviews candidates for technical positions I regularly have to verify that experience in a resume is valid. I have found a number of times that asking if the candidate has experience (quoting from their resume) can result in an admission that they don’t have any/much/relevant/real-world experience. Whether or not the interviewer has read the resume the candidate needs to respond. My next question is always around how, given that experience, we can work together to get the work done. If the candidate is savvy enough to start that conversation in their response, all the better. I did cite work-specific projects, online training, and spoke to it’s application to the job at hand (supporting a client with whom I have three tears recent experience). I guess, more than anything else, he didn’t pass the “cultural fit” test. He started things off on the wrong foot and came across as a jerk. I don’t work with jerks. You are right on, as always, Nick! It amazes me how many times I get hit up by recruiters or others without them actually reading my resume/profile and sending me a communication about a job which, according to them, I do not qualify for. It’s not that we get through several rounds of interviews, then they make that determination. It’s after 2-3 emails and/or a 5 minute phone call. Famous example: I was contacted by a large online retailer (think of a river), on Stack Overflow Careers. He said he was “impressed by my Software Engineering skills.” We sent a few emails back and forth where we were “getting to know each other”, where I basically said I’m not a proper Software Engineer at my day job (I am a programmer, though) and I learn stuff about Software Engineering in my free time so that eventually I can get into a proper role. He dropped me like a hot potato after that saying he needed “experienced” Engineers. If you actually took time to read my profile and look at my experience, you would see that I have never held the position of “software engineer” (I am basically a statistics programmer for a now large market research company that you have heard of – think TV’s). And I say on my online profiles I eventually want to get into a proper engineering role. I am not lying in any online profile or resume about future career goals, what I am working on, my interests and past employment. Begs the question, if I was so strong, why was I rejected so quick? I have also had instances where the HR lackey/secretary doing the initial screen asks for my target salary. I tell them what I would like, yet they still interview me even though I am well outside their range. News flash: people lie, especially in tough times like this. Personally, if I only have cursory knowledge of something, I just say I only have basic knowledge of it. For example, I say that I have basic knowledge of Java and have used it in school, but have not used it regularly since then other to work on some programming exercises from time to time – so I can say that I can write basic programs, but have to look up some of the expanded features. I also target jobs/companies that hire relative newbies at Java so there is no expectation that I am a pro (and I do not claim to be one). In the past, I’ve had multiple experiences when HR reps failed to read the resume and/or understand the job for which they were “recruiting”. Not surprised that this continues. I guess blocking more online apps hasn’t improved their performance. @Gary: Dishonest applicants are another story, and you’re of course right to verify. How dopey could someone be, to show up incapable of defending what’s on the resume? If I seem to bash employers too much, there’s just as much game-playing on the applicant side. It takes a savvy person on each side of the desk to confirm who they’re dealing with. I have had many interviews and most of them are nonsense. They have either young geeks who want another young geek that they like or these overbearing managers who think that you are some little kid that they can push around for an hour without any reason at all. This thing about skill sets is also another really twisted thing. For instance they ask if you know MS Office and then they will ask you some kind of obscure question about it that comes up every 3 years which inevitably the tech doesn’t know about or most likely forgot the last time they used it. They won’t hire these people but if somebody comes along and knows the answer then they get hired. The hired tech may have just had to deal with the problem last week so it is fresh in their mind. Anybody in the IT field knows that using reference materials (Internet, books, manuals, expertise from mentors, etc.) is not a weakness but an attribute of a good engineer who cares about accuracy. Doing IT work is not like flipping hamburgers and never will be. It takes time to do a good job and if people who hire are only there to denigrate IT workers then the results that they get will be reflected in their long term bottom line! @Nick. yeah, there’s a lot of unnecessary hatred and mistrust between job seekers and managers right now.. and, sadly little common sense, tact, or savvy. For a comic take on how bad it has been for job seekers lately, take a look at the “Scumbag Employers” meme page. My hope is that the market improves and power asymmetry lessens.. And we can start being less jaded about work. Personally, I try to laugh at all of this, continue working as a consultant with companies who value me, etc.. until I find a good jobby-job match. @Dave, WHY are you disclosing your salary requirements to some “HR lackey/secretary doing the initial screen…”?? Apparently, you don’t read much of what Nick writes. Sounds like you’re getting in your own way, and that question-and your answer-are just the start of it. You need to look into this a bit more. Nick, I think you missed on this one. I’ve found myself in this situation, to my intense embarrassment, I might add. What happens, far too often, is that with all the best of intentions an overloaded manager deals with whatever is most urgent, trying to keep up with the paperwork load. Reading and digesting an applicant’s resume isn’t what’s most urgent until just before the interview starts. The manager knows this is wrong. And knowing doesn’t help, because it’s a time management issue, and taking the time to read and digest applicant resumes means something else would have fallen off the plate instead. It doesn’t make it right. It doesn’t make it a good idea. It simply makes it inevitable. I generally give them a target, with the expectation that the number may go up or down once we discuss the job at hand. If they could never in their right mind get into the ballpark then we have no business to discuss. 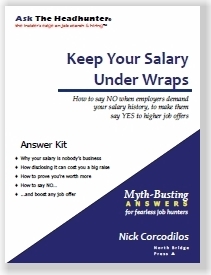 Nick’s general advice is against giving your salary HISTORY as opposed to a TARGET. In other words, I don’t tell them my current salary, only what I think what the job is worth and what I am willing to take to do it with the data at hand. The employer has a budget that they are willing to pay and the potential employee has an amount that they are willing to take. The point to the question is to see if we are in the general ballpark. Unless I am missing something, of course. If the manager wants to apologize profusely at the beginning of such a meeting, and fall on his sword, that’s one thing. Faking it is unacceptable. Excusing it with “I’m very busy,” is worse. All that’s inevitable is for the applicant to walk out the door. I would. 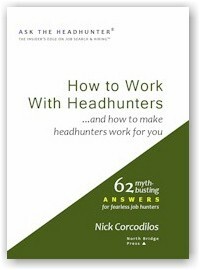 More than a few Ask The Headhunter readers have reported doing just that on other posts. A job interview is a business transaction like any other. Whoever is unprepared loses. I really don’t see any two ways about it, except with the acknowledgement I referred to above. This is what’s wrong with the employer side of recruiting and hiring. Nick … You misunderstand. I’m disagreeing with your diagnosis, not your point. The managers in question … some of them, anyway … aren’t clueless. They’re overloaded, forced to multitask, and otherwise are unable to give proper attention to any of their responsibilities. Should the interviewer apologize instead of faking it? Of course. But lousy manager? If only it was that simple. The manager not reading the resume means something beyond he is busy or clueless – it means that he has had no part in selecting this candidate for an interview. A potential co-worker I can see, but a manager? Is he getting handed resumes and interview times from HR? Red flag! I agree with @Gary.In particular, if someone tells me that they can learn the n_1st tool quickly, they had better be able to convince me that they really know the previous n tools very well – and in depth, not just superficially. But that requires the manager to understand at least one of these tools well enough to ask good questions. Maybe the clueless manager has no idea of what the resume says. Maybe he has pointy hair. Now, it is possible that the manager is very smart and understands other stuff, but I’d want to check, which is why interviews are two way streets. @Bob Lewis: Reading a resume takes five or ten minutes, max. Dealing with the consequences of a bad hire will take a lot more time than that. A manager who can’t make the time to read a resume has serious time management and prioritization problems. That’s another red flag. @Scott. You’re right. It’s a two-way street. For the instance I cited above, if the manager had taken a look at not only my CV but also the work sample project and methodology details I had sent with the week before it might have been a fruitful interview. Scott … No argument. And I know some managers and HR generalists who have literally forty hours of meetings each week. They attend, do their best to figure out what’s going on, and try to leave on time so they aren’t more than five minutes late for the next one. Yes, it’s stupid. As is so often the case, though, when people are acting stupidly, it’s because they’re coping with a bad situation. @Bob Lewis: Reading a résumé usually doesn’t even take five minutes, not with the emphasis on keeping it no more than one page. Someone with more experience might have a two-page résumé (some employers frown on this, which I think is stupid, if you have the experience). We’re not talking about CVs, which run many, many pages and thus would require some time to read and digest. I’ve been on hiring committees in my last job, and I was always busy with my work, but if I was on the committee, then I made sure I took the time to read the résumés so I’d have some intelligent questions to ask the candidates. It isn’t that managers are “too busy”–everyone is busy–but if you’re interviewing people, then you have to prioritize and make time, otherwise the interviews are a waste of time for everyone–for me, for the other committee members, for the candidates. This isn’t rocket science. 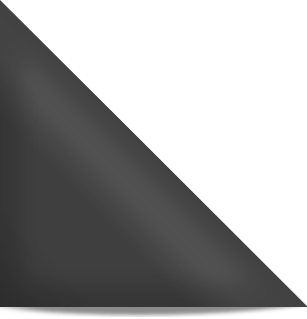 This is likely not the case, but something that happens…. Was the interviewer the hiring manager? As hiring manager, it is inexcusable. However, I have been pulled in to provide an outside opinion. Sometimes at the last minute. And sometimes I don’t have the resume. @rkc: I’ve been in that position as well, and that’s fine to be able to provide an outside opinion, but if you’re asked to provide an outside opinion and haven’t been given the candidates’ résumés, then that is a waste of time too. And it is unfair–you’re being asked to make an assessment without having all of the facts/data. When I was younger, I used to tolerate the clueless interviewers. Now, I don’t. I’m not rude, but if they haven’t bothered or haven’t had the time to prepare, then the interview is a waste of time. I bring paper copies of my résumé to interviews because I don’t assume that the interviewers will think to make copies themselves, and this way, if someone like rkc is asked to sit in at the last minute, I’ve got one to provide to him/her. What I find even worse is the interviewer who takes out her phone and starts checking messages and/or texting during the interview. I find that the height of rudeness, arrogance, and disrespectful. It would be one thing if the interviewer opened by saying, for example, “my mom is at the hospital and I expect a call/message anytime”, or “my kid just got hurt during the game and got taken to the ER–my wife is already there and I’m waiting to hear from her–I might have to leave”. That’s different and understandable. But the other–just to take out the phone during the interview, and looking bored, just start reading messages and/or texting is really bad. I turn my phone OFF because an interview is important, and I’m showing respect by giving the interview and the people interviewing me my full attention. I don’t think it is too much to expect the same respect in return, and I walked out of an interview last year in which one of the interviewers pulled out her phone and started texting. I looked at the interviewers, suggested that this obviously wasn’t a good time FOR THEM (not for me, I’d made the time) since she had other more important matters to attend to. I gathered my things, shook their hands (the one texting never bothered to look up at me), wished them luck in finding someone for the job, and left. 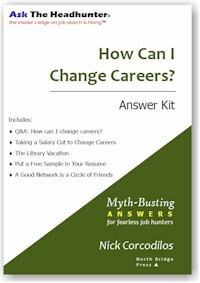 Oh, and I’ve been asked stupid, clueless questions at interviews, too. Not so much when I was younger, but more recently. I haven’t figured out why, but I suspect it might be because they don’t know what to ask (asking me what animal I would be or fruit I would be is idiocy and has nothing to do with the job to be performed–I’ve asked them to give me an example of problem they’re facing and I’ll show them how I’d solve it, and I get “what fruit would you be?” I’ve been tempted to answer “a banana, because I’d be nuts to want to work here if this is how you interview serious candidates”). I think some of it is that they don’t know how to interview serious, good candidates, some don’t care, some would rather let big data or an app do the selecting for them. I don’t get it. @rkc: I’ve sometimes asked people to do an interview at the last minute when someone on the schedule vanished. I get them the resume while the candidate is talking to someone else, but I think a candidate would understand if you read the resume to start the interview, explaining about the snag. I agree that it is not as bad if someone besides the hiring manager messes up. Barely skimming over resumes explains a lot of dumb moves, not just at the interview. I use a headline on my resume (Project Management), and I keep getting phone calls & email from laces I’ve never submitted to about “perfect fit” positions: insurance sales, motorcycle repair, entry-level programming, phone support, unpaid internships … the list goes on. Skimming over resumes on job boards does explain why my friend with a BFA in Stage Management from Well Known Art University used to get phone calls about bank manager jobs. Seriously, how long does it take to read the resume of a recent college grad? @Dave, I’ve been in this position as well. I interviewed at one company recently – I wasn’t looking, they sought me out, and came after me. After several calls, I agreed to interview for the position. I gave them a target number, something that would induce me to leave my current company for something else, assuming the job itself was interesting to me. I went through three levels of interviews, including one with the founder and CEO, and it looked like a perfect fit for where I wanted to go with my career. I was offered the job, but at 25% LESS than I was making currently, and not even close to my target number. When I refused, the hiring manager (not the CEO) called me to berate me about “wasting his time”! Really? After I was upfront about what it would take for me to move? I call bad hiring managers “Rude Buddhas”, after a character on Saturday Night Live. I think I’ve written about one at length in an earlier blog, so suffice it to say here that on three out-of-town trips to interview with three different people for the same position, at the same company, two of the three managers had not read my resume. I had spent hours prepping for those interviews. The old adage of ten hours prep for every hour of presentation is still on the books. In addition to the hours of prepping, there was the travel, high gas prices, dry cleaning, taking time off from a survival job while not letting on that I might be jumping ship, the stress of ascertaining an out-of-town interview site so that I would not be late, and the general apprehension anyone has for a job interview. I can’t remember if the Rude Buddha even apologized for not reading my resume—it was the abrupt bump in the conversation when he discovered that my continuous job history was interrupted by a viscous economy. I try to let my age get the better of me when dealing with younger managers—I very much embrace the concept of “Senior Novice, Junior Mentor”—but I had more years of continuous employment than he had had on the planet. 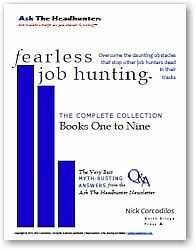 I’ve had good and bad interviews since then, but I really am at the point where the market for my level is so unstable that risking my survival job is an unacceptable risk. I now set the parameters for any interview, and will go against the protocol grain so as not to waste my time. As for Rude Buddhas—I love to waste their time.